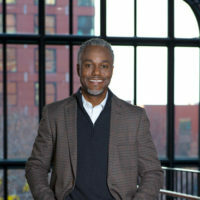 Vanderbilt University is leading an effort with 10 other post-secondary institutions to increase the diversity of faculty, staff and executives in higher education in Tennessee. The 11 institutions are launching a new non-profit, the Greater Tennessee Higher Education Recruitment Consortium, or Greater TN HERC, to assist post-secondary institutions in attracting more diverse candidates to the state. The group’s first meeting will take place from 10 a.m. to 2 p.m. Sept. 15 at the University Club on the Vanderbilt campus, which is located at 2402 Garland Ave. All faculty affairs, human resources and diversity leaders from Tennessee post-secondary institutions are invited to attend the launch meeting, which will address growing research that shows diverse working groups are more productive, creative and innovative. Some of the tools Greater TN HERC provides to institutions and job seekers are a member-powered job board, facilitated discussions between institutional leaders, and support for dual-career programs that are vital to the successful recruitment of female faculty and women in the STEM fields of science, engineering, technology and mathematics. One particular interest of the Greater TN HERC is finding effective ways to assist the spouses and partners of faculty and staff to secure area employment. At the Sept. 15 meeting, Jennifer Sheridan, executive and research director of the Women in Science and Engineering Leadership Institute at the University of Wisconsin-Madison, will present on the topic of “Fostering a Diverse Faculty: Reducing Bias in the Search Process.” Sheridan is a member of the WISELI team that is nationally-recognized for educating faculty about unconscious/implicit bias in academic settings, including the hiring process. The WISELI team has has delivered nearly 150 faculty workshops or talks on implicit bias since 2004. Greater TN HERC is the 17th region to join a growing movement across the U.S. that empowers institutions to do more together than they can alone. 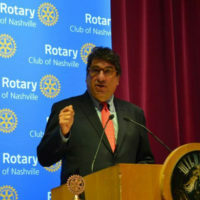 In addition to Vanderbilt, founding members of Greater TN HERC include East Tennessee State University, Belmont University, Rhodes College and all University of Tennessee System institutions (Knoxville, Martin, Chattanooga, Health Science Center, Space Center, Agriculture and Public Service Institutes). Institutions interested in joining Great TN HERC and professionals seeking faculty, staff and executive positions in greater Tennessee can search all openings at member institutions on the Greater TN HERC website. Contact Rachel at 615-343-5479 or janet.c.rachel@vanderbilt.edu to learn more. Planning for Greater TN HERC began in April 2014 at Vanderbilt. 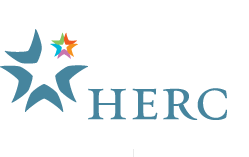 HERC is a national non-profit association founded in 2000 that includes 17 regional chapters serving more than 700 institutions across the U.S. in their efforts to recruit and retain the most diverse and talented workforce. Visit www.hercjobs.org or contact Brianne@hercjobs.org to learn more. RSVP for the Sept. 15 kickoff event by contacting Elizabeth Wilson at 615-343-1329 or elizabeth.h.wilson@vanderbilt.edu by Sept. 10.